We are working on a project. It’s exciting. It’s groundbreaking. It’s a secret, for now. What we can disclose is that it features some of the most respected and influential figures involved in weddings in the UK. 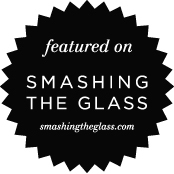 One of those figures is Karen Cinnamon, the woman who turned Jewish wedding planning on its head and whose blog, Smashing The Glass, continues to cement its position as the most diverse and inspirational resource for Jewish wedding planning in the world. Having only launched in June 2013, STG has grown into something huge, with Jewish and ‘Jew-ish’ weddings so diverse it’s difficult to believe some of them existed, and we are utterly privileged to be the most featured photographers on the blog. We cherish our relationship with STG and can’t wait to see even more of our amazing Brides and Grooms featured in this prestigious and creative online space. As you’d expect, Karen is passionate about weddings. She told us that one of the things she is trying to do with the blog is to encourage couples to have the wedding that they want. “I would love them to feel that it’s THEIR wedding and they can do with it whatever THEY desire. It’s heart-warming when couples email me after their wedding and tell me that Smashing The Glass has helped them have the wedding they truly wanted.” Indeed Blake feels a similar way, leading to him writing a nine-part series for STG called ‘Jewish Wedding Traditions Explained’, where he also looks at how any Jewish wedding tradition can be personalised.